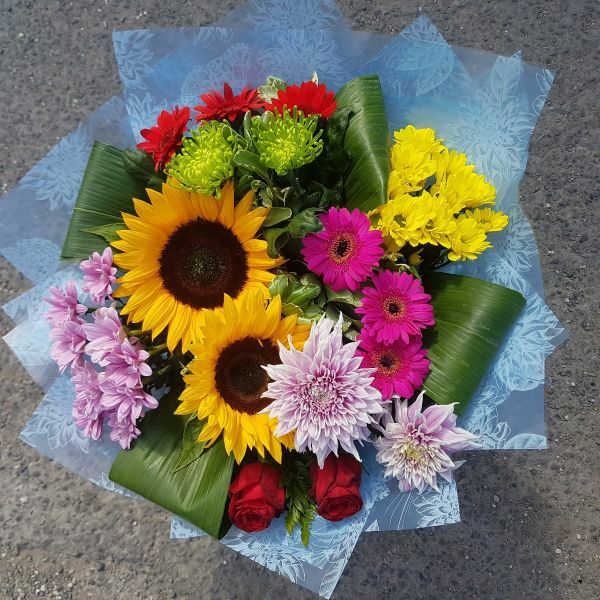 A modern handtied bouquet offering the truly delightful 'Wow' upon delivery! Grouped in design and featuring the biggest, best blooms that are sure to create a statement. A favourite selection.